Read about and compare the top portable air compressors to find the right features at the best price. 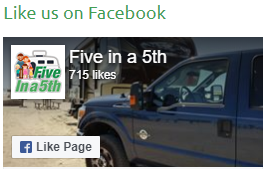 Perfect for RVers, campers, and other travelers. Most RVs use a special mattress size called Short/RV Queen. It’s 5 inches shorter than a standard Queen. These are most popular RV replacement mattresses. We love living in an RV full-time and traveling as much as we can, but the kitchen in our 5th wheel is a little small. These are our favorite kitchen gadgets and accessories. Full review and video of EezTire TPMS after 6 months of full-time use. This tire pressure monitoring system can be used with RV’s, trucks, trailers, cars, and anything else with pneumatic tires. We explain what a TPMS system is and why it is so important to get one for your RV.